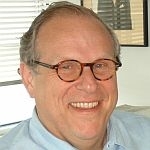 (HOST) Commentator Bill Schubart has been considering the rationale for maintaining a national broadcast service supported in part by the taxpayers, both directly through donations and through government support. (SCHUBART) The current political rhetoric surrounding the bill to muffle NPR and to limit the ability of its affiliate network to survive, much less prosper, misses the important philosophical question of whether or not a government-supported international broadcast network makes sense. Like a national health system, most other civilized countries have, with varying degrees of success, committed taxpayer funds to a non-commercial broadcast system. The first key to the success of a government-supported broadcast enterprise is the impermeability of the editorial firewall between the government’s self-interests and management’s daily editorial decisions to collect, edit, and publish news consistent with commonly understood standards of journalistic integrity. The other success factor is governance. There must be an independent, diverse and disinterested governing board that holds it to the same standards as any business enterprise. The focus is not on profit, however, but on mission. Leadership must assure the attributes of a professional news organization, such as audience measurement and feedback loops, a public ombudsman, fact-checking, a clear distinction between news and opinion, and regular personnel performance reviews. Libertarians believe that government should not be in the news business. Conservatives may feel as libertarians do or they may not like the way the news is presented. Liberals generally prefer a national news service even when it brings them news they don’t like or presents opposing viewpoints. The problem is made more complex by the fact that fewer consumers know the difference anymore between hard news and opinion and regularly conflate the two. There is no philosophical reason to hate properly presented news, regardless of the source. It’s like hating the weather. One can disagree with or even hate opinion, but not news. The real measurement of a good public broadcast system is whether all editorial opinions are given equal time by articulate spokespeople. I believe having a world-class broadcast service representing America is vital to our strategic interests. We are still, to varying degrees, recognized as a world leader. Why not lead here as well, in the same way that Britain’s BBC has since radiotelephony began. Domestically, I believe that the imperative for such a news and information service derives from our founding commitment to an accessible educational system, which, after all, is one predicate of a functioning democracy along with a free press. Such a system is also justified by the generally accepted government mandate to maintain a secure and accessible communication infrastructure. As Internet technology advances and offers citizens enhanced opportunities for journalistic participation and feedback, the link between such a public broadcast network and democracy is only strengthened. Why do we feel we need to tear down what we don’t like, rather than improve it? I can sympathize with libertarians who are philosophically opposed to entrepreneurial government initiatives, but am less sympathetic to the far right who don’t like the message and prefer to shoot the messenger rather than participate in a discussion of how to improve the system. (TAG) You can find this commentary by Bill Schubart at VPR-dot-net. And we should also mention that Bill Schubart is a former chair of the VPR Board of Directors.